Real estate properties online marketing company in Nigeria AdHang provides solutions for real estate marketing around Nigeria- properties awareness creation, educating target buyers, stimulating sales, etc. Are you selling land, house, or renting rooms, offices, leasing building or any property in Nigeria? Hire AdHang the leading and number one real estate properties online marketing company in Nigeria to help your agents and company achieve the marketing goals and get buyers. What are the different between AdHang and other properties marketing companies? 1. AdHang is an online digital marketing company with great expertise in real estate online marketing in Nigeria; it is not a real estate dealer nor sells properties. AdHang can help agents, properties owners, real estate companies and online properties’ listing sites to carry out online marketing in general. 2. AdHang does not go and just list your properties on properties’ listing sites. Because AdHang team thinks you can do that and you deserve more exposure not just listing, and online listing sites do not aggressively and proactively reach buyers in most cases. 3. AdHang employs integrated and comprehensive properties online marketing approach and uses platformS which enable the company to run google ads, facebook sponsored ads, Cokoye forum banners, and news portals posting, video sites’ online presentation display, and much more. 4. 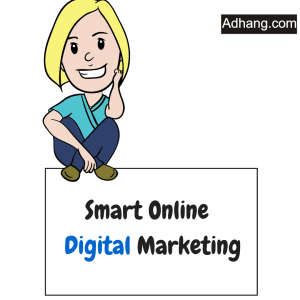 Marketing properties online requires strategic online marketing; as a result AdHang incorporates integrated digital marketing approach using online display, search engine marketing, social media marketing, influencers marketing, content marketing, and mobile marketing. 5. In real estate online marketing there is different approach to divergent properties marketing objectives, to this AdHang has different real estate plans here – whether your intent is to market properties, your Real Estate Company or combination of them. 6. All properties online marketing is done by professionals with over 10 years experience in digital marketing. Real estate properties online marketing company in Nigeria AdHang using over a decade experience in online marketing will help your real estate agents and company to plan marketing, create advert online and run an effective properties online marketing to achieve marketing aims such as awareness, making sales and promoting the real estate brand. AdHang can help you market your real estate properties online irrespective of your properties or company’s location in Nigeria - Lagos, Abuja, Portharcourt, etc. For complete information, click here to view Real estate online marketing plans and what can be achieved.